Ah, Illumina. You have to admire their marketing savvy. Last year at around this time, they announced the HiSeq X Ten system, a “factory installation” for human whole genome sequencing (only) at an incredible scale: 18,000 genomes per year, at a cost of $1,000 each (for consumables). It’s still the sequencing-by-synthesis technology employed by previous Illumina instruments, but with a new “patterned” flowcell that spaces the clusters more evenly, for a more efficient sequencing yield. The cost, of course, was considerable: $10 million for 10 instruments, the required minimum. The operating costs are also considerable, not just for reagents (up to $1.8 million per year) but secondary things like disk, compute, and even internet bandwidth. It’s a massive amount of data to store, analyze, and submit. Importantly, the HiSeq X systems can only be applied to human whole genome sequencing. Human means no plants, animals, or model organisms. Whole genome means no targeted/exome sequencing, no RNA-seq. All of those applications will have to go on other platforms. According to their CEO, Illumina sold 18 HiSeq X Ten systems last year. That’s an impressive number, and even more than they expected. The total capacity exceeds 400,000 genomes per year (some installations got more than 10 instruments). Filling all of that capacity is (and remains) a major challenge, because human samples are precious. They require informed consent for sequencing, IRB review boards, privacy protections. Human samples are the new commodity. Now there’s a second option: as announced earlier this month, Illumina will be selling HiSeq X Five systems (5 instruments) for $6 million each.The lower buy-in likely means that even more groups can adopt the HiSeq X technology. They’ll have the same restrictions as the HiSeq X Ten, but half of the capacity (9,000 genomes per year). That’s still a considerable number of whole genomes. Probably more than have been sequenced by the research community in the past five years. The per-genome cost will also be $1,400 per sample. That’s 40% higher than the cost on the X Ten, but I think it’s around half of what it would cost on the HiSeq2500. There’s also a new generation of the HiSeq2500 instrument to become available later this year. The HiSeq3000 will run a single patterned flowcell for 750 Gbp per run. 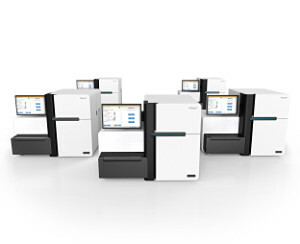 The HiSeq4000 will run two patterned flowcells, for twice that capacity. Eventually, these will supplant current HiSeq2500 instruments. I expect they’ll be busy, too, running the exomes, the targeted sequencing, the RNA-seq and bisulfite sequencing. But back to the HiSeq X systems. Personally, I don’t like the idea of a single company dominating the market, and essentially attempting to dictate how human genetics research should be conducted. At the same time, I can’t argue with the direction we’re headed. We had high hopes for SNP arrays and GWAS, but as I discussed in my previous post, sequencing at large scale is required to uncover the full scope of genetic variation underlying complex phenotypes. And let’s face it, exome sequencing lets us conveniently avoid some of the most challenging aspects of human genomics, like detecting complex rearrangements (SVs) and interpreting noncoding regulatory variants. Both are undoubtedly important to human disease, but more difficult to study. Yet the only way we’ll make progress is to study them in large cohorts numbering thousands of samples. Now, at least, we have the tools to do that.